Not all Superheroes wear lycra – some wear jodhpurs! Before ill health took hold Jean Adams was a regular volunteer at her local Riding for the Disabled group. Then Jean became very ill indeed, suffering from multiple medical problems which resulted in numerous trips to the hospital, sometimes for long periods of time. Knowing from her own experience the physical and mental benefits of riding, Jean is now a rider at the Woodbridge and District RDA. But not content to just ride Jean is fund raising for the charity. 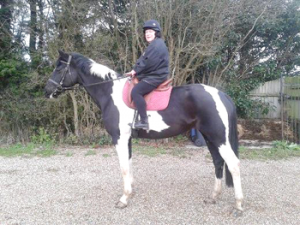 On Saturday 12th August Jean is attempting a 16 mile sponsored ride on her daughter’s horse Katie. Jean feels that her health has benefitted significantly since she has been riding again and as a keen horsewoman of many years knows that this will be a challenge. But this is a challenge she feels more than up to and she joins an ever increasing line of Woodbridge and District RDA Superheroes who have collectively raised over £15,000 so far this year. 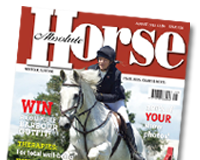 Jean’s sponsored ride begins outside the RDA (Woodbridge and District Group) on Saturday 12th August at 1pm. Jean’s ride will go from Sutton to Hollesley, then Bawdsey and back to Sutton via Alderton.